At Guildford Smiles Dentistry, we work with patients to help them achieve optimum oral health. Our professional and friendly team will create a positive dental experience for each appointment. The best way to approach dental care is to prevent conditions before they start. By maintaining regular dental exams and cleanings and practicing good home care, you are taking the best measures to protect your oral health now and in the future. Our comprehensive oral exams allow Dr. Seddk or Dr. Salman to review the health of your teeth, gums, and bite, alerting you to any changes in your oral health so that you can make an educated choice when it comes to your dentistry. During a dental exam, the dentist or hygienist will check your mouth for cavities and gum disease. They will evaluate your risk of developing other oral health problems, and check your face, neck and mouth for abnormalities. Your dental exam will also include a dental cleaning, as well as dental X-rays (radiographs) or other diagnostic procedures. In addition to the above, the dentist or hygienist will discuss your diet and oral hygiene habits and demonstrate proper brushing and flossing techniques. They may also address lifestyle factors that can affect oral health. During your professional dental cleaning, your dentist will gently remove the tartar and bacteria that build up on your teeth over time. Hard-to-reach areas between your teeth and near your gum line can cause otherwise irritation to your delicate gum tissue and may cause gum disease. During your cleaning, the dental hygienist will use a scaler to get rid of plaque and tartar around your gum line, as well as in between your teeth. After your teeth are completely tartar-free, the hygienist brushes them with a high-powered electric brush to deep clean and remove any tartar left behind from the scaler. Finally, the hygienist will perform a professional flossing to deep clean between your teeth and gums, and remove any plaque or toothpaste left over from earlier in the cleaning process. Next to preventing a condition entirely, early detection is the best way to protect your smile. 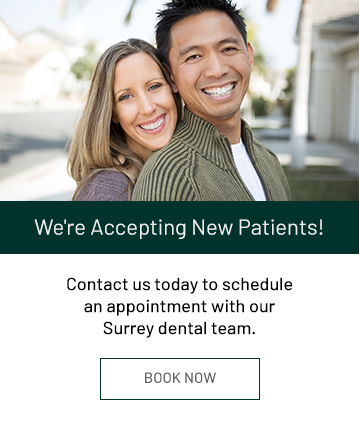 At Guildford Smiles Dentistry, we use the latest technology to diagnose dental conditions, such as decay, in their earliest stages so that we can address the issue while it is still small, saving you time, money, and hassle.